Holiday budgeting 101… Are you ready for Christmas? It’s time to put a bright red bow on your budget and check your list twice! We always get annoyed and complain when we see stores deck out their halls with Christmas decorations early in the year and then remove them late January (we know we do). However, we think they might actually be onto something. We get flooded by retail stores and catalogues of gift ideas to get us in the “spending mood” earlier each year, which means you have to start budgeting your holiday spending earlier too. The BIG question is; Are you prepared? Every year, South Africans spend thousands of Rands on Christmas gifts, food, entertainment, decorations, lights, clothing and vacations, but do they really budget for it? I have found that most of us spend because it’s DECEMBER and forget that JANUARY is around the corner. The pressure to spend stems from the factors of pleasing the ones we love, such as children and partners, or enticing shopping promotions. So what do you do? How do you make sure that you do not overspend? Set a budget for Christmas! Create a list of what is needed these holidays, the expected prices of each item, how much you are willing to spend, and the level of importance. Divide your holiday spending into categories – gifts, vacation, clothes, food/entertainment, and decorations to make sure you have covered everything. 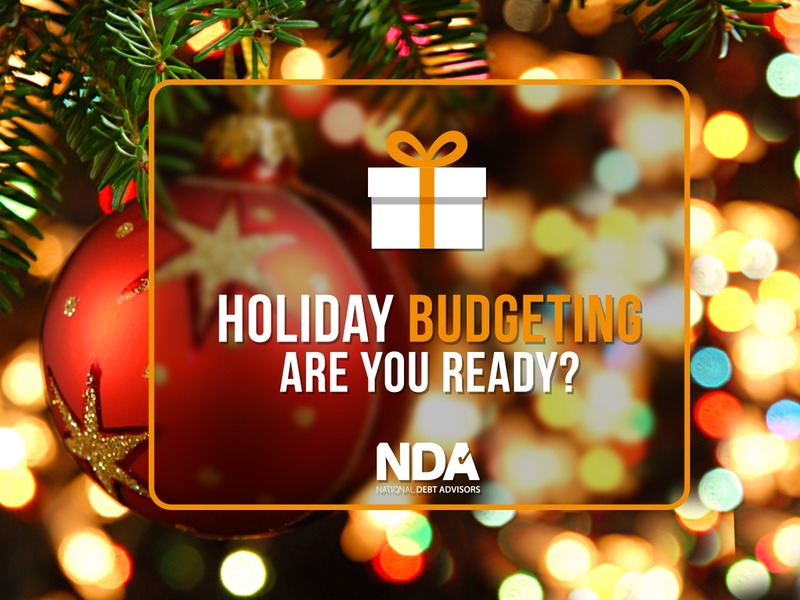 Another thing that will help is to add up last year’s holiday receipts and credit card charges for a clear picture of what you spent – this can be your basis for creating a budget worksheet, where you can plugin realistic estimates for every holiday spending category. Make sure you have ranked the level of importance for everything on your list, as getting a gift for your parents or child may be of high importance and a new Christmas tree maybe a low on your list. This is to ensure you do not overspend or buy things that are not necessary. When budgeting, you must remember that gifts to family and friends don’t have to be expensive and cost thousands of rands, DIY’s, holiday cards, backing, etc. are other gift ideas. However, most of the time, the best memories during the holidays are not the gifts, but the time we spent with family and friends. Super cliché, I know but it’s true. Okay, now you have a budget and you have cut out all the unnecessary expenses. Now here comes the tough part, implementing the holiday budget into your current monthly expenses. This might mean cutting down on more lavish things and other commitments during the next couple of weeks in order to prepare. Now the holidays may come and go but make sure you are prepared for next year. Once the holiday shopping is done don’t throw away your holiday list. This is a great start for next year’s holiday budget. Remember the aim is to stay DEBT FREE and not to get into more debt.